An umbrella walking stick – amazing, what will they think of next? Or should it be called a walking stick umbrella? Whatever you call it, this is a great product. It’s another fantastic addition to our range of outdoor product innovations. The Walking Stick Umbrella. You’re probably thinking “Sounds great… an umbrella that you can use as a walking stick… but what happens when it rains?” Good point, but we think we’ve got that covered. 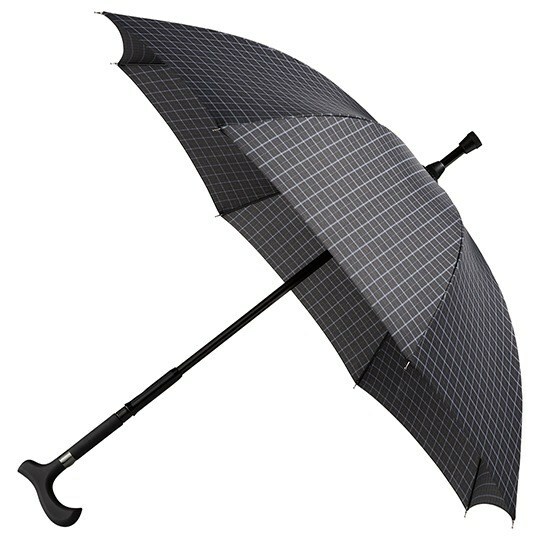 The strong black steel walking stick slides out of the shaft of the umbrella so you can use both the umbrella and also the walking stick at the same time… how clever is that? Open the walking stick umbrella to reveal the recessed chrome button. Press the button to release the walking stick. 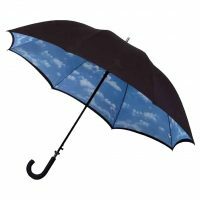 This leaves the strong, light, 8 panelled umbrella (overall length approx. 70cm) available to be used with your other hand. When the rain stops, you simply slide the umbrella walking stick back into the umbrella shaft, click it back into position and then close the umbrella. It’s as quick and easy as that! We think you’ll be pleasantly surprised by the quality of this umbrella walking stick. It really is a good quality umbrella incorporating a good quality walking stick. Steel frame with individually sprung stretchers. Black fibreglass spokes (ribs) – light, strong and flexible. Straight / vertical carry weight up to 80 kg. Canopy width 94cm / 37inch (approx.). Sturdy black steel umbrella shaft and walking stick with ergonomic, rubberised “soft-feel” handle. Overall length of the umbrella with walking stick, including black rubber ferrule, is 90cm (35½inch). Walking stick umbrellas are not a gimmick. They make an ideal gift for someone with mobility concerns. 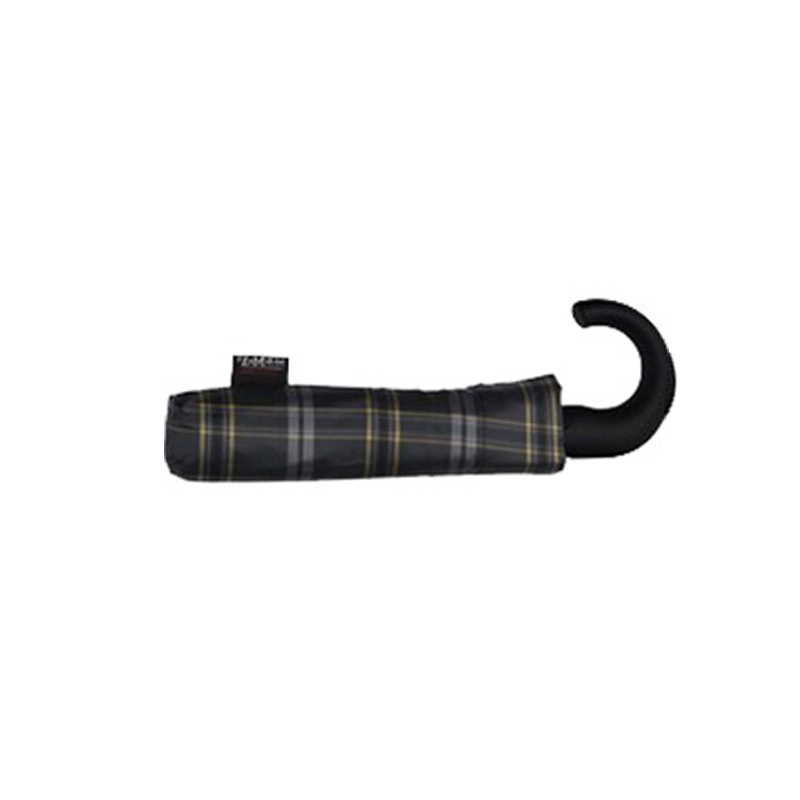 We sell our innovative walking stick umbrellas in black and also in a smart grey check. To see the check version, click here.